Dr. Jamie Loveland is a licensed clinical social worker in Houston, TX. She obtained her MSW at Smith College School for Social Work, and her PhD at the Institute for Clinical Social Work where she majored in psychodynamic psychotherapy. Over the years she has worked in a variety of inpatient and outpatient settings including the Yale Parenting Center and the Menninger Clinic. Currently, Dr. Loveland divides her time between her private practice, where she specializes in couples/relationships, expatriate repatriation, parenting, adolescent issues, trauma, and addictions, and Baylor College of Medicine where she is an Assistant Professor in the Menninger Department of Psychiatry and Behavioral Sciences. Anne is a depth-oriented psychotherapist in private practice; her expertise and clinical interests include dream analysis and the intersection of physical and psychic realms. 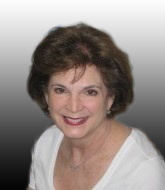 Ann H. Weiss, M.A.T., M.Ed., L.P.C. has a master’s degree in Counseling from the University of Houston, a master’s degree in teaching from the University of Virginia, a bachelor’s degree in History from Louisiana State University, and is a Licensed Professional Counselor in the state of Texas. She is currently a counselor at South Texas of Law and was previously Program Director of a bereavement center in Houston that offered multiple grief support services to children and their families, including grief support groups, community education and training, and an Information and Referral line. Dr. Clearman specializes in physical medicine and rehabilitation, an unusual medical field that focuses on illness from the patient’s perspective. An experienced clinician and medical director of several rehabilitation units, she has extensive experience in the management of catastrophic illness. Dr. Clearman is expert in the rehabilitative care of patients with cancer, spinal cord and brain injuries, neurologic diseases, dementia care and psychiatric rehabilitation, burns, dual diagnosis, polytrauma, and orthopedic injury. Felecia Powell-Williams is a native Houstonian, where she earned her degrees, Masters of Arts in Clinical Psychology and a Doctorate in Clinical Counseling . She completed her post graduate education at the Center for Psychoanalytic Studies, formerly known as Houston-Galveston Psychoanalytic Institute, and recognized by the American Psychoanalytic Association as an adult, adolescent and child psychoanalyst. Dr. Powell-Williams is a Licensed Professional Counselor- Supervisor, and also a Registered Play Therapist/Supervisor, who provides clinical supervision for the State of Texas licensing board. Along with maintaining her private practice, Felecia has volunteered multiple hours training clinicians from Baylor and University of Texas medical schools. She also teaches on a collegiate level, and provides consultation and professional training with many state and local agencies on recognizing the need of mental health services for children, adults, and families. Among her many roles at the CFPS she is currently a faculty member in the Adult and Child & Adolescent training programs, Chair of the Child Program, and board secretary. Felecia also holds board positions with the Alliance of Psychoanalytic Schools and Association of Child Psychoanalysis, along with other national mental health organizations. Throughout her distinguished career, she has generously donated her time and talents to numerous organizations serving children throughout Houston. When she’s not working she enjoys spending time with her family & friends, and actively serving in her church. Dr. Penelope J Hooks is a board certified psychiatrist, psychoanalyst and child psychoanalyst with a private practice in Houston. Dr. Hooks enjoys working with patients who want to move through their issues and explore deeper feelings and ways of relating.